Can you hear the drumbeat of war? It is getting louder. 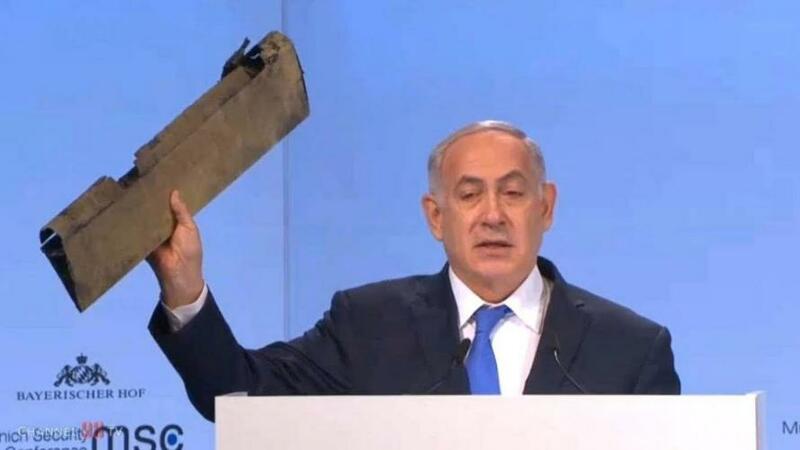 Prime Minister Benjamin Netanyahu declared on the final day of the Munich Security Conference that Israel might go a step beyond striking the proxy powers and instead take direct action against Iran. He was especially concerned about the possibility of a land bridge stretching from Iran to the Mediterranean Sea. According to the PM, Iran represents an existential threat and its permanent military presence in Syria is unacceptable to Israel. The Feb. 10 incursion of what Israel called an Iranian drone from Syria into Israeli airspace has spiraled into a major fight, resulting in the downing of an Israeli jet and a broad wave of strikes against military targets in Syria alleged to be linked to Iran. This was the first time Israel has used force directly against Iran. Iraq is not focused on monitoring its airspace - it has many other problems to deal with and Israel could take advantage of that. The route through Iraq looks like it might be the best option. A conflict between Israel and pro-Iranian forces would douse the light at the end of the tunnel so recently kindled as a result of the diplomatic initiatives in Syria by Russia, Turkey, and Iran. Once the shooting starts, all that work will go down the drain. This scenario could be prevented. As we have seen in some other situations, Russia is the only actor capable of effectively mediating. The US has become openly hostile toward Tehran and may have a hidden agenda in which peace is not the goal. There may be forces interested in sparking any conflict that would exacerbate the situation in Syria and bring a large-scale war against Iran even closer.